The ButterSide Family is a community of multi-disciplinary Artists with a strong vision and dedicated to practice what they preach. Papillon is the visionary leader and chairman of the ButterSide. From Paris to Detroit, from Africa to the Caribbean, Papillon (a mixed blood humanoid) continuously churns the content of this planet's melted pot, to extract the finest Butter music. With a long career in acting, film making and sound production, Papillon blends his artistic passions with his growing dedication to sustainability and regeneration. This has resulted in the forming of the ButterSide, where we further develop ideas and concepts to make them come to Life. After producing 2 solo albums ("the Amber Dawn"-2006, "Calligraphy"-2014) Papillon is producing music and films for other experimental artists sharing his vision for a more humble and involved mindset among humans. On this first solo album, Papillon set sail to explore distant musical horizons. He exposes his influences while guiding the ear through the complex landscapes of his inner world of sound. "The Amber Dawn" celebrates the mixing of human cultures and toys with the notion of a constantly metamorphosing hybrid consciousness which Humanity belongs to. Blending English, Creole, French and Wolof, the Peanut Butter Fly and his guests offer a rich palette of lyrical and musical colors, leading the mainstream to wonder what to call this genre. We like to call it "Butter". Click here to download "the Amber Dawn"
From the world of Papillon's album "Calligraphy", here is a Butterside portrait of Sugar Mama, florally beautified by Susan McLeary for PassionFlower (www.passionflowerevents.com). Our place in Nature is one of Papillon's main concerns. He expresses this in various ways within his Art as well as within his work as a certified Permaculture designer. The ButterSide is his way of observing and exposing the complex web of Human interactions as we connect to Nature as a whole. Papillon's album "Calligraphy" is a collection of moods and collaborations recorded in Europe, Africa and the US. This new project ventures further into the mind of a human hybrid, trying to find inner balance. It begins to unveil the point of view of the Peanutbutterfly in his search for understanding a confusing Human culture. "Calligraphy" includes guest appearances by human artists like Amp Fiddler, Mike Wird, Jamall Bufford, 2YS, David Walters, Daz-Ini, John Banzai, Meimouna, Kinesis and many, many more. This is a video of Papillon introducing his multi-media album: CALLIGRAPHY. Click here to download "Calligraphy"
Welcome to the reality of Papillon, the Peanutbutterfly. Here is “MY TrutH”, the first of a series of short films, illustrating songs from Papillon’s album “Calligraphy”. The movie “MY TrutH” was filmed on Super 8mm, to honor and enjoy the technology of the past. 8mm film offered a classic way to grasp the light and texture of a day in the Life of Papillon, through the old school magic of celluloid. Here in "Distribute it (to the lower level)" featuring Mike Wird, also on "Calligraphy", oldschool arcade games and the Geechi Creu dancers take us to the pixellated dimension of the ButterSide. from Papillon's album "Calligraphy". Featuring Daz-Ini, Kinesis & Cyrille Daumont. Produced & Directed by the PeanutButterFly for the ButterSide. (BSURE 2014). "There's no reason you should burn, share the Light and the Heat of the Sun inside. Just choose to share that Fire you hide." A father, emcee, thinker and builder, this specimen is essential to the ButterSide. Spiritual brother to the PeanutButterFly, Mike Wird confirms Papillon's sanity. From B-boy masterclasses to Natural building workshops, this remarkable artist has always represented his beliefs with excellence, through Art and Ecology. Click the link below to read an article about Mike Wird and his building philosophy and solutions. As Papillon's closest co-pilot, Mike Wird appears in several songs on the PeanutButterFly's album, "Calligraphy". This Denver native remains a master on the microphone while heading Regenerative Lifestyles with co-founder Robin Eden and developing the Denver Earthship. Mike Wird is dedicated to building a more humble and sustainable reality for humans to fit in to Nature's design. 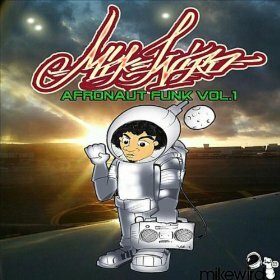 His 2010 release "Afronaut Funk Vol.1" exposes his passion for Community and Activism. Always busy and buzzing, Mike Wird is also a member of the trio Soul Pros (along side emcee Pavlo Kee & DJ A-L) holding it down on the Colorado HipHop scene. Click here to download "Afronaut Funk Vol.1"
In the midst of his numerable occupations, the multi-disciplinary B-boy is spending time in the ButterSide studio preparing his solo album "From the Get Green". This opus is dedicated to opening some gates in the Human Consciousness and further closing the gap between the Mind and our Physical Reality. HipHop activism using Art for education. What is our relationship to water? Here is an edutaining perspective directed and edited by the Papillon for the ButterSide. This video is the first release from artist Mike Wird's next album: "From the Get Green" (BSURE 2015). A Hip Hop testament to Regenerative Lifestyles. On a beat by Gyl and featuring Papillon & Pavlo Kee. Dedicated to family and its pains and pleasures, Nemma shares her thoughts with astounding sincerity. This singer-songwriter weaves a soothing harmonic tapestry, telling the stories of a Heart seeking peace in a confused World. Determined to let the Soul express its dreams and needs, her lyrics bravely confront the challenges of relationships and responsibility. Full of Love and with the healing touch of a Mother, the music of Nemma reaches out and gently places a kiss on the forehead. It is with the art of patience and reflection that this unveiled singer offers her emotions generously, over minimalist musical arrangements, not to distract but rather to enhance the listener's sensitivity. The honesty of Nemma's music reflects her devotion to loved ones and her persistance beyond the realm of Art. Indeed, there is a lot more than songs in this woman's Life. A strong Mother, she puts her words into action when providing guidance and a healthy home for her children. Like all members of the ButterSide Family, this artist is an entrepreneur with a keen eye for detail and a remarquable sense of responsibility. Nemma's courage and determination are a driving force to convey her passion and Love for Life. Nemma appears on Papillon's album "Calligraphy"
With her own accent in any language she chooses to speak or sing, Meimouna gently twists her way into a pleasant sound. 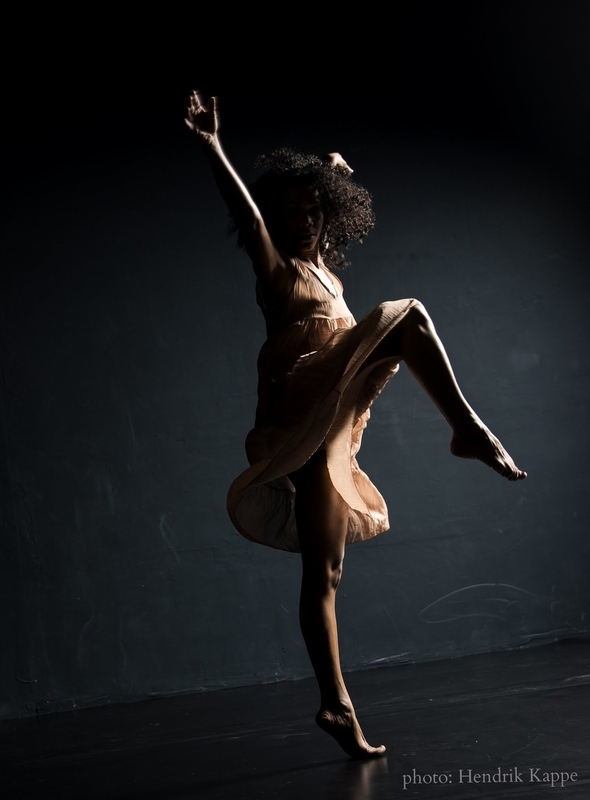 This talented dancer and vocalist is the result of a the elegant blend of African and European culture. Raised between Cotonou, Benin and Berlin, Germany, Meimouna carries in her heart a deep Love for her widespread roots and delivers it with grace. 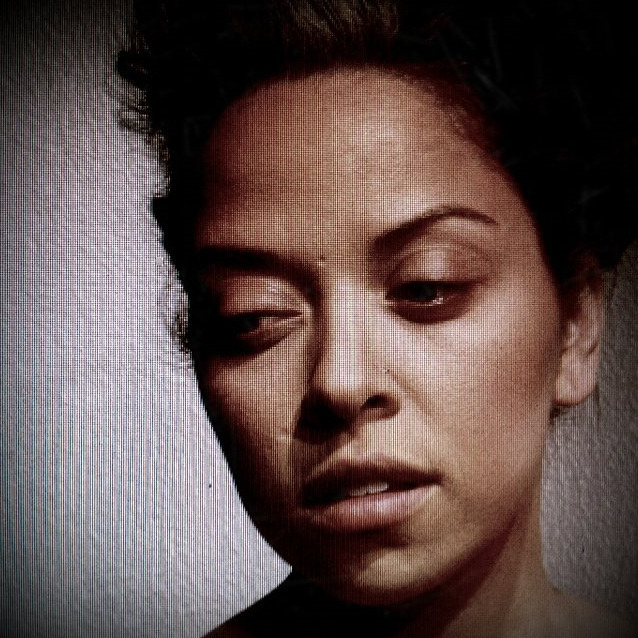 Performing in various dance companies in Paris, Berlin and around Europe, while singing and acting in musical theater, this talented artist has developed her own hybridized style. She conquers stages with a new form of expression, lending her body language and vocal diversity to the stories she channels. Needless to say, Meimouna is an uplifting inspiration to the ButterSide Family. She is co-writing her first solo recordings with Papillon and can be heard on his album "Calligraphy". STEREO RECEiVER is the name of the ButterSide's least identifiable component. Every place has its thing and everything has its place. This is the place for metamorphic collaborations and cross pollenation. Our studio is blessed with visits of many outstanding musicians and artists, and we make sure we always sneak in a microphone at the right moment. This results in a great collection of spontaneous recordings that become subject to manipulation. From acoustic folklore to electronic expansions, these mind-bending sessions have no perceivable boundaries. Once the artists' minds are unleashed and synchronized, all transmitters become tuned in to their ButterSide. Stay plugged into your STEREO RECEiVER, and expect a little static.